Handcrafting luxury beds and mattresses using time-honoured methods since 1904 to provide a deeply relaxing and rejuvenating nightâ&#x20AC;&#x2122;s sleep, fulfilling dreams for a long and healthy life. their 22nd and final race together for almost two years. Bob was thirty-one and arguably in the prime of his career, “I suppose I was, I was flying at the time,” he recalled. But in July he received devastating news when diagnosed with testicular cancer. “I had a lump and thought it was the result of a kick… I didn’t do anything about it.” In Bob’s absence, Aldaniti went lame at his next race at Sandown that November. For the horse it was one of a series of injuries in a career riddled with them. Aldaniti first went lame in January 1976 and again in November 1977. After Sandown, problems caused by two chipped bones in his leg kept him stable-bound for over a year. backed all the way down to 10-1 and second favourite behind Spartan Missile. 1979 winner Rubstic was third favourite. For Bob preparation was simple. “Focus on the race, know who to beat, don’t follow poor jumpers. You can’t win the National on the first circuit, but you can lose it… You can lose it at any point,” he noted with a chuckle. Aldaniti made mistakes at the first three fences. Bob remembered vividly, “ jumping is the name of the game, and he over-jumped. He was ambitious, intelligent, a joy to ride, and moved through the field.” On television, commentator Julian Wilson monitored the tenth fence. “On the outside going well, is Aldaniti.” He took the lead at the eleventh, and never relinquished it. WELLSHURST GOLF CLUB is the place for you! Wellshurst Golf Club, North Street, Hellingly, East Sussex BN27 4EE www.wellshurst.com - On the A267 to Horam WE CAN CATER FOR ANY OCCASION! 24 – HOUR SERVICE Saloons ® Estates ® Executives ® 5-8 Seaters LONG OR SHORT DISTANCE ® A BUSINESS YOU CAN TRUST! Admission to the Country Show and Horse Trials at Firle Place 11th - 12th May 2019 For 2 adults or children on either day on production of this advert Original versions only accepted. No photocopies or downloads. Strictly not for resale. There is no better time to join us Cooden Beach welcomes new members to join this friendly golf club and there is no better time to join. The Club is so much more than just golf, with a full calendar of social events from tribute bands to restaurant evenings and our superb Sunday lunches there is something for everyone. So, if you are thinking of joining a golf club for the first time or perhaps moving from another club please give us a call or pop in to chat over a cup of our finest coffee. town - with its eclectic range of shops, railway station, library and Pavilion. As its name suggests, the Old Town is the original hill settlement founded by King Offa. To the north is Sidley, a residential area with its own high street. Pebsham lies to the east; as does Glyne Gap, which features a retail and leisure park. Little Common is a small village to the west with a variety of independent shops. Cooden, in the south-west, plays host to a large hotel, golf and tennis clubs. Collington is a residential area near Cooden. *Price ex VAT. Most clients can claim VAT exemption. Please call for details. waiting to meet Georgina and when she arrived, he said he had something to show her. “He took me to the cottage and the door was wide open so we went inside,” says Georgina, vividly recalling their first impressions. “There were only three rooms and we stood there deciding what colours we’d paint them if it was ours. Then we went for a walk in the woods and came back to the cottage and sat in the wild garden and made daisy chain crowns.” It was an afternoon when good fortune continued to smile. Leaving the cottage they asked a man they met in the lane if he knew who owned it and learned that the cottage had been empty for 20 years but was now on the books of a local agent. It had been the gardener’s cottage, part of the estate next door. “When we contacted the agent,” Georgina continues, “we found there was quite a bit of interest in the cottage including from people who wanted to pull it down and develop the land. It was being sold by sealed bids but we pitched our tender well and our bid was the one accepted. Strangely, we weren’t jubilant because it felt like ours anyway.” Benjamin immediately began work on basic repairs to the cottage including virtually rebuilding what is now the dining room. “There was a kitchen, sitting room, one bedroom, a bathroom under the stairs and a loo in a shed outside the back door,” Georgina explains. “We moved in on the day we were married in May 1992, and lived in the cottage just as it was for more than two years.” By then Gabriel had been born and they were concerned about the increasingly precarious structure of the cottage. They obtained a renovation grant to deal with essential works and moved out for more than a year, living nearby with Georgina’s mother in her old family home. Approval was granted to add a small extension at the back to provide an indoor bathroom and the Finns took the opportunity to build a bedroom above it at the same time. Spring Savings on all Beds! Spring Offers on Bedroom Furniture! Great Savings throughout the Store! Curtain & Blind Designers The Personal Touch offers friendly, professional advice and a wealth of experience in all aspects of Interior Design including curtains, blinds, pelmets, upholstery, poles and tracks. Full fitting service. We have one of the largest selections of fabric and wallpaper books including Colefax & Fowler, GP & J Baker, Osborne & Little, Nina Campbell, Harlequin, Sanderson, William Morris, Echelon, James Brindley and Jane Churchill to name but a few. We are suppliers of paint and wallpaper from The Little Greene Paint Company which will bring fabulous colour and elegance to your home. Many unique and exclusive ranges High quality products at very competitive prices Free sample service. Free local delivery service NEW RANGES coming in every week from leading tile factories. Our brand new collection of stylish sliding wardrobes Our new collection of stylish sliding wardrobes Our brand brand newdividers collection wardrobes and room areofallstylish madesliding to measure. and room dividers are all made to measure. and room dividers are all made to measure. Terms and conditions apply. Contact us 15/01/2019 for more13:14 information. Terms and conditions us forROAD more information. UNIT A1, ENTERPRISE BUSINESS apply. ESTATEContact • CROWHURST BRIGHTON BN1 8AF Terms and conditions apply. Contact us for more• information. * RECEIVE 10 % DISCOUNT *Upon presentation of this coupon during your survey. because we all need a roof over our head. leads back from whence you came. Immediately across the bridge, turn right at the ‘Wealden Walks’ sign, then left at the green fingerpost 50m later. The path brushes the rhododendrons as it heads downhill, skirting the scrub at the bottom, all the way to concurrent bridges crossing the Shortbridge Stream. The path cuts straight across the field, kinking left on the far side when entering the adjacent field. Head for the barns, passing rusting farm machinery along the way. The first stile of the day lands on the Fairhazel tarmac. Follow it for 350m, as far as the road junction. The only call you ever need to make for: Theonly only call The callyou youever ever • Heating and Plumbing need to make for: need to make for: • Oil Heating Systems and Tanks All types of decking supplied and fitted - Approved installer of Millboard wood-free decking - Low Maintenance and Long Life Product. EXPERT & RELIABLE Your Local Family Run Business, serving our community over 35 years. Your Local Family Run Business, serving EXPERT &for RELIABLE our community for over 35 years. Your Local Family Run Business, serving our community for over 35 years. The Boss left specific instructions, and I’ve been bequeathed his literary legacy to continue, as best I can wanted something, he’d go for it and live with the consequences. But I do care. I genuinely don’t like it when people are cross with me, and although I can be naughty at times, I’m more mindful of the outcome. The Boss accepted that, although with the caveat that there were no ‘yes’ furs on his watch! • Modern blood analysis laboratory with results in just 7 minutes • On-site parking. - Can be laid over existing concrete, tarmac or type 1 MOT. - Our tar or ‘bitumen’ is hard wearing but NOT harmful to the environment. - High quality granite chippings from Scotland and Wales - Available in a variety of colours. • We pride ourselves on our attention to detail and offer a service second to none. • Free no obligation quote tailored individually to each job. • We guarantee you won't get better value for money anywhere. • Established since 1987. C.M.P.E member. Elizabeth Kay offers Sussex Living readers her thoughts on recent reads that have caught her attention. She gives her views on a selection of books from different genres which may capture your interest she works in her father’s scrap yard, doing things that would horrify Health and Safety. But despite the lack of basic care, she cannot entirely shake off the indoctrination she has received over the years. She does manage to escape, and her eventual journey to Cambridge University is astonishing. The book is very well-written, and the author’s honesty in finding truth to be evasive due to different recollections of the past is fascinating. It is remarkable that in this day and age parents can deny their children any sort of education and health care. I found myself appalled over and over again, but the book is a testament to how powerfully our childhood affects the rest of our lives. The fact that Tara does not end up bitter and resentful is little short of a miracle. frequently unpleasant behaviour. It’s said that it’s easier to get over the death of someone with whom there were no issues, where there was nothing to resolve, and this illustrates it well. The child’s voice is convincingly written, although he frequently has remarkable insight for one so young. Nevertheless, it didn’t interfere with my appreciation of the book. The press doesn’t come out of it very well, and the intrusive attitude of the TV stations and their interviewing techniques are thoroughly believable. The book is nicely illustrated with photographs rather than drawings, and the text is large and legible drawings, and the text is large and legible. I do take exception to a spider being called an insect, mind you, even though it has subsequently been given its Latin name (which ought to be in italics). It is also true that foxes and cats tend to avoid toads, as they are poisonous enough to cause an adverse reaction, although not to prove fatal. However, I shall assume that these facts are unknown to the toad and the robin, and written from their viewpoint! Antiquarian & secondhand books purchased on all subjects including academic, sporting, military, literature, scientific, natural history, travel, polar regions and maps, documents, ephemera etc. REFURBISHED DEDICATED CHILDRENâ&#x20AC;&#x2122;S AREA Extensive Stock of Childrenâ&#x20AC;&#x2122;s Books: both new releases and classics Order today, collect your book tomorrow. A simple process of logic is all that it takes to solve each puzzle in this game. Put the numbers 1 to 9 in each vertical column and each horizontal line. Each number must appear only once in each column and line and in each of the 3x3 boxes in the grid. Each number in the grid represents a different letter of the alphabet. You have three letters in the control grid to start you off. Enter them in the appropriate squares in the main grid, then use your knowledge of words to work out which letters should go in the missing squares. As you get the letters, fill in other squares with the same number in the main grid and control grid. Check off the alphabetical list of letters as you identify them. Place a different arithmetical sign (add, subtract, multiply, divide) in each circle so that the total of each line across and down is the same. Perform the first calculation in each line first and ignore the mathematical law which says you should always perform division and multiplication before addition and subtraction. SPOTLIGHT EVENTS Have a Cracking Easter at Drusillas Park! Easter holidays You’ll come face to face with hundreds of exotic animals, plus your little monkeys will adore the themed adventure play areas and rides! With appearances from all of your favourite characters throughout the Easter holidays, including Hey Duggee, Peter Rabbit, the PJ Masks and more! Plus, new for 2019, a beautifully mesmerising Rainforest Carousel - the first of its Easter kind in the UK! There’s so much to see and do at Holidays Drusillas; it’s definitely no ordinary zoo! Visit www.drusillas.co.uk for exact dates! Visit kew.org/wakehurst Horrible Science® is a registered trademark of Scholastic Ltd. And is used under authorization. All rights reserved. Based on the bestselling books written by Nick Arnold and illustrated by Tony De Saulles. Illustration copyright ©Tony de Saulles. Licensed by Scholastic Children’s books through Rocket Licensing Ltd.
lots of wildlife to see. You’re very likely to encounter squirrels, rabbits and deer, and we’re in the perfect location for a spot of bird watching! PERSONALISED, COMPASSIONATE CARE We understand that no two experiences are the same and that people value and prioritise differently. We have the time to get to know people and listen to their needs and wishes, and our care is tailored to every individual, focussing on the things that matter to them. 23RD JUNE 2019, 9AM – BORDE HILL GARDEN Borde Hill Lane, Haywards Heath, RH16 1XP Enjoy a 2, 7 or 10 mile sponsored walk through the beautiful parkland of Borde Hill and beyond, taking in sweeping views of the stunning Sussex countryside as you raise money to help local families. Visit www.moreradio.online and enter the code MORE19WS for your chance to win the following prize package courtesy of Haywards Heath Homecare Manhattan Teak 11 piece garden set, Outback Magnum hooded 3 burner gas barbecue, BBQ set, patio pots and hanging baskets. A traditional nursery specialising in all types of roses, carefully selected to offer you the best in both old and new varieties. Select your roses in a pleasant and unhurried atmosphere. growing shrub with bell shaped flowers, white or shades of pink, in spring and early summer. The leaves are very similar to the herb rosemary. HEATHERS These grow naturally in temperate climates and tolerate acidic, infertile soils. To grow in such poor soil they associate with fungi which help them to obtain nutrients and the evergreen leaves then retain the nutrients. Your first choice for care 2018 waslawn a difficult year for your garden. Extreme weather conditions resulted in lawns that didn’t look their best. lawn to get the most from it. Our youpreparing think youryour lawn is beyond repair 2018 was a difficult year for your garden. to Ifstart treatments start from just £15*. due to last year’s sweltering summer, ask Extreme weather conditions resulted in seasonal us to about Lawn Makeover - the best lawns that didn’t look their best. Due high our demand, and to avoid disappointment, we way to get ‘The GreenThumb lawn.’ As we move towards the growing advise that you book your treatments early. season, now is the time to start preparing If you think your lawn is beyond repair due to last year’s your lawn to get the most from it. Our sweltering summer, ask us about our Lawn Makeover your FREE lawn seasonal treatments start from just £15*. - the best wayFor to get ‘The GreenThumb lawn.’ Due to high demand, and to avoid disappointment, we advise that you book your treatments early. quote, Your firstcontact choiceyour for lawn care local branch today. For your FREE lawn analysis & no-obligation quote, contact If you think your lawn is beyond repair 2018 was a difficult year for your garden. your local today. due to last year’s sweltering summer, ask Extreme weather conditions resulted in branch lawns that didn’t look their best. Simply call 01273 020720 or email020720 lewes@greenthumb.co.uk Simply call 01273 or email lewes@greenthumb.co.uk As we move towards the growing season, now is the time to start preparing your lawn to get the most from it. Our seasonal treatments start from just £15*. 2018 was a difficult year for your garden. Extreme weather conditions resulted in lawns that didn’t look their best. your lawn to get the most from it. Our We also carrystart out Environmental seasonal treatments from just £15*. Due to high disappointment, we advise that you book your treatments early. quote, contact your local branch today. 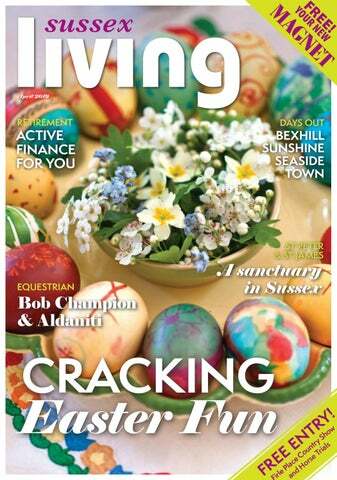 A comfortable and secure lifestyle needn’t end when you retire, read on to discover Lisa de Silva’s savvy funding options to see you into your twilight years Could you earn extra money from gardening, baking, sewing, dog walking or training people? We Buy Second-hand Scooters We are very caring and personable brokers and offer a complimentary claims support service. We can assist in ensuring you have the correct benefits and retaining medical history to ensure you are correctly covered for your personal requirements. Victoria Healthcare Management is an appointed representative of Jade Mortgage Services Ltd who is authorised and regulated by the Financial Conduct Authority. FRN 303414.
is currently under review, those over the age of 75 years also receive a free Television Licence. Do set a budget for household expenditure and donâ&#x20AC;&#x2122;t forget to take inflation into account. Look at where you can make savings by shopping wisely using money-saving coupons and promotional discounts. This is also a great time in your life to take advantage of discount vouchers for meals out and trips away. Those with over 35 years of National Insurance contributions should be entitled to a full State Pension Another way to boost income includes starting a business. This could be turning a hobby into an enterprise and with multiple online sales platforms now easily accessible, startup investment can be minimal. Could you earn extra money from gardening, baking, sewing, dog walking or training people in the skills you have developed over the years? Martin Gurr Tennis Courts is a family business with 32 years experience in building tennis courts and sport areas. The company provides free surveys and quotations. All courts are constructed to high specifications and are supported with a long guarantee. can single to or double valuedto support addition our “Thisbe adapted occupation either for respite care or onto a accommodation can be adapted permanent basis,” or Christine Turner Matron support single double occupation from Laurels told us. eitherthefor respite care“Weorwelcome on a permanent basis,”love Sally Bossom visitors and would to show you from what Thehave Laurels told us.Laurels.” “We welcome we to offer at The visitors and would love to show you From landscaped a soothing what we have to gardens offer at with The Laurels.” water feature to tastefully decorated From alandscaped gardens with a rooms, cinema room and the all-important soothing water feature to tastefully home cooked meals, The Laurels is certainly decorated rooms, cinema room worth visiting if youa are thinking of and the the all-important cookedormeals, next stage in life home for yourself your The Laurels is certainly worth visiting if loved ones. you are thinking of the next stage in life for yourself or your loved Why not contact them ones. for further information or to arrange them fora viewing? further Why not contact information or to arrange a viewing? You Raise Me Up – Fundraising Events for 2019 The local charity You Raise Me Up is totally funded by donations and fundraising events. They have lots of adrenaline filled events you can join in to help raise funds and awareness of this small but vital charity. Fulfil your dreams, face your fears or team up with your friends to have fun and make a difference. middleweight boxer Chris Eubank Jnr. Together they raised an incredible £40,000 for the charity towards the purchase of a specialist X-ray imaging machine for the Trevor Mann Baby Unit in Brighton. £30,000 for You Raise Me Up over the past 2 years. Now it’s your turn on Saturday 22nd June! Book your place with £50 deposit and raise a minimum of £500. The fundraising team will support you with ideas, social media and promotional material. Just 20 places are available, so hurry! THE CHASELEY TRUST your specialist local charity enabling disabled people to live lives to the full NEEDS YOU! The Chaseley Trust is one of the oldest charities in Eastbourne with a seventy four year track record of supporting people with spinal injuries, Acquired Brain Injuries, loss of limbs and progressive conditions through the provision of specialist short- and long-term care at our 55 bed facility on South Cliff, Eastbourne. We offer a full suite of specialist support including nursing care, therapy, rehabilitation and respite holidays designed to enhance the development, independence and wellbeing of those who use our services. environment for our severely-disabled patients. Enthusiastically supported by our dedicated staff, our residents enjoy a wide range of creative activities including art classes, singing, drama, dancing, cooking and gardening on a daily basis but this wouldnâ&#x20AC;&#x2122;t be possible without our brilliant army of volunteers. So if you have a few hours a week to spare, please get in touch with us by email info@chaseleytrust.org or call us on 01323 744200. We would be delighted to welcome you and show you around. A sponsored 10 mile walk filled with colour, light, magic and wonder. Raising money for Chestnut Tree House childrenâ&#x20AC;&#x2122;s hospice. Your Convenience - Open Saturdays and evenings The earlier the better - Quality Family Dentistry Freshen your breath - Caring, personal service Stop gums bleeding - Effective hygienist care Fear nothing - We take pleasure in supporting nervous patients Style your smile - Cosmetic dentistry can whiten, balance and restore your smile. Our scanner system provides a 3D dynamic scan of the foot, ankle, knee and hip in motion. Our technology will help to diagnose foot and lower limb pain. Prescriptive foot orthotics can help end suffering and prevent relapse. We are experts in treating foot & heel pain problems Heel Pain, Bunions, Pronation, Stability We specialise in heel and foot pain… more than that we are passionate about what we do. Foot pain and poor function becomes a quality of life issue. If you can not walk, life becomes difficult. Poor alignment of the feet and legs can cause wear and tear to other parts of the body often disrupting normal knee function and hip alignment as well as increasing forces on muscles in the lower back. Want beach style wavy hair without using the hot tongs? Follow Sofia Akin’s guide to long lasting heat free waves and feel like a surfer girl all day long! all areas. There’s something in sea-salt spray that almost thickens your hair and gives it a natural wave. Scrunch up your hair with your hands so the sea-salt spray is distributed evenly. It’s recommended you do this as it helps the product work its magic, allowing your hair to curl easier. There’s something in sea-salt spray that almost thickens your hair and gives it a natural wave 3. Now use some sort of styling mousse as this also creates waves and prolongs the curls. Do the same motion as you did with the sea-salt spray by scrunching a small amount of mousse into your hair. Again, make sure not to use too much product or your hair will become too wet. Then brush your hair once again to brush the product through. 4. This next step is optional but to make sure your hair isn’t too frizzy, as it sometimes can be when you take it out from plaits, use a small amount of hair oil and just run it over the lengths and ends of your hair. leaves when cooked. 3. Tomato sauce, drained mozzarella, basil leaves when cooked. 4. Tomato sauce, roasted pepper, sliced chorizo, pinenuts, paprika, oregano leaves when cooked. METHOD Put the oil in a large saucepan with the garlic and stir well over a high heat. As soon as the garlic sizzles (it mustn’t brown), add the tomatoes along with the tomato paste and oregano. Let the mixture bubble on medium high for about 12 minutes until thick and rich, stiring occasionally to prevent sticking. Remove from the heat and allow to cool before use. of oil into the same bowl and add the dough, cover with a cloth and let it rise at room temperature for 30-45 minutes. It should be soft to touch and roughly doubled in size. Punch down the dough and tip out, knead into a ball and cut into 4, 6 or 8 pieces with a sharp knife. Form each piece into a ball and put on a floured paper lined tray, cover and leave at room temperature for 15 minutes until swollen. You could put it in the fridge at this point and leave for up to 3 hours or until ready to roll. New Spring Menu Local Produce Book today! classic pizza is tomato sauce with a dribble of olive oil and pepper. Slide the pizzas onto the preheated baking trays. Bake for 10-15 minutes. Drizzle on extra oil and serve hot. Tip: If you do not wish to use all the pizza dough, it can be easily frozen between sheets of baking parchment. The tomato sauce can also be frozen if you have excess. sheets in the oven pre heated to 230C, Gas 8, 190 Fan. The Geary sisters Petra and Nuala welcome you to the Smugglers in Pevensey. Tasty homemade food and a great specials board for foodies. Good drinks selection. Dog and child friendly with a lovely garden and play area. Have a cracking Easter at Drusillas Park! Appearances from all of your favourite characters throughout the Easter holidays, including Hey Duggee, Peter Rabbit, the PJ Masks and more! www.drusillas.co.uk for exact dates. Horsted Place Country House Hotel, Lewes Road, Uckfield TN22 5TS Creative ideas for floral decorations at Eastertime. A demonstration by Clare Wilson of Riverside Flowers, Lewes. Booking essential: 01825 750581. East Hoathly & District Preservation Society: The wonders of water â&#x20AC;&#x201C; how otters keep us healthy East Hoathly Village Hall, Church Marks Lane BN8 6EQ Learn how wildlife and water are inextricably linked to our lives and how otters tell us how healthy we are, by Fran Southgate. Non-members: ÂŁ4 toni.wilkinson@btconnect.com 01825 872460. Venues across Eastbourne Eastbourne artists and makers show and sell their artwork in homes, studios and galleries. www.eastbourneartists.co.uk 01323 749708 07768 387980. Easter Egg Hunt, Bunny Hunt in the house, crafts, story time & more. Traditional music, fun & games to celebrate Sussex Past looking after Michelham Priory. Visit our website for more details on these events & others. Upper Dicker, Nr Hailsham East Sussex, BN27 3QS. Eastbourne Artists Spring Open Houses and Studios Venues across Eastbourne Eastbourne artists and makers show and sell their artwork in homes, studios and galleries. www.eastbourneartists.co.uk 01323 749708 07768 387980. With over 100 interactive exhibits set among the domes of a former world famous observatory, we have something to offer for all ages. Please visit our NEW website for full details of our Easter school holiday activities and upcoming events. ! !, Isfield Station, Isfield, Near Uckfield, ! East Dean Village Hall Exhibition and sale of work. Dazzling Wood Anemones and Primroses Now in Bloom Spectacular Bluebells - April to May Come and stroll through our beautiful ancient woodland and magnificent parkland surrounding this ancient farm and enjoy the spectacular scenery. See our large family of wallabies and their joeys. Selling award winning hand crafted ice cream by the Sussex Ice Cream Company. Also, Cards, Gifts, Flowers & Plants. decided the family’s most valuable asset was their pet dog, a pedigree pug called “Edda”. Edda was promptly seized and then later sold online to settle the tax bill. Of course, the seizing of a family pet sounds horrendous and is the reason why a story about German taxes made the UK press. Could the same happen in the UK? Fortunately not, it is reassuring that HMRC are quite clear on what assets cannot be taken and these include assistance dogs (including guide dogs, hearing dogs and dogs for disabled persons), sheepdogs, guard dogs and domestic pets, which are specifically exempt and may not be seized. But a little further reading of the news story piqued my interest when it was explained that some of the overdue tax was “Hundesteuer” (Dog Tax). Having to pay tax because you own a pet is maybe something we hope the Government don’t introduce, but actually this is nothing new. 30 years ago we had dog licencing in the UK and if it is true that the people of Berlin alone paid “Dog Tax” of 11 million euros then if we extrapolate that to the population of the UK then perhaps we’re looking at a tax that could be worth almost £200 million pound for the Treasury! Would the government consider reintroducing a form of Dog Tax? No, I don’t think so. I’ve mentioned the history of tax in the past and how it is true that tax is primarily used to raise funds for the Treasury, but it is also often used to influence our lifestyle and spending habits, such as sugar tax on fizzy drinks and the levy on plastic carrier bags. Maybe if we had a specific problem with dogs in the UK then Dog Tax might be used to try and control dog ownership but I can’t see any reason for that. And I doubt it would generate enough money to be introduced for purely tax reasons, especially if we think about the costs of running such a licencing system and the policing of it, so I think it would be a brave Chancellor to announce Dog Tax as part of his budget speech. Needless to say, where there is a tax there will be people thinking of ways to avoid paying, and it seems German Dog Tax is no different. The news report goes on to explain how one gentleman tried to avoid paying the tax by passing his Spanish Water Dog off as a sheep. It doesn’t say if he was successful, probably not! & Chartered Tax Advisers Tel: 01825 763366 As individual circumstances vary considerably from person to person, the views expressed in this article are meant only as a general guide, and any specific advice required should be sought from your own professional adviser or by contacting the writer at his place of work. No responsibility for loss resulting to any person acting as a result of any material in the above article can be accepted by the writer or Swindells LLP. Local Virtual Assistant providing office administration support to businesses. Let me help you organise your workload more effectively. ✦ Email and Diary Management ✦ Invoice and Expense Reporting  Word Processing (Letters, Reports, Minutes) Data Entry and Management  Audio ✦ Transcription  Data Entry, Database creation, MailMerge  Meeting and Travel Arrangements. Contact me for a free consultation to discuss how I can support your business. Keep your vehicle and warranty intact at around HALF the cost of the main dealers! Services in East Sussex Everything your classic car needs from servicing and general repairs to conversions, upgrades and restoration. EASTBOURNE AUDI 2 Edward Road, Willingdon Drove, Eastbourne BN23 8AS 01323 306702 caffyns.co.uk/audi *Over 3 years old and under 2000 cc. We clean your oven... so you don’t have to. Problems with Water Supply or Disposal? We have the technology and experience to solve it. “Mechanical Mole” Pipe Laying, Septic Tanks and Sewage Treatment. Stockists of Pumps, Pipes, Fittings and Drain Jetting. Workshop facilities also available for service and repair of all types of plant and machinery. Puckamuck is a completely natural and organically sourced well-rotted horse manure. No-mess pipelaying by mole or steerable drill, we can bore up to 100m at a time under your garden or driveway, without digging the surface. Chain trenching for field water supplies. Troughs installed. Leaks fixed. DRAINAGE / TREATMENT Shred on site so easy to handle and spread. Fully aged by us so ready to use straight away. 100% manure - no green waste, peat-free and no odour! www.puckamuck.co.uk or call 07899676166 Puckamuck is a Registered Trademark. Trouble with a soakaway or cesspool? Install a Mantair Conversion Unit into your existing tank and discharge clean water, for half the cost and none of the upheaval of other systems. Land drains, etc. Free advice. Blackboys Service Station is a family-run business established for 40 years with over 25 years Renault experience. Over 16 years’ experience RHS qualified designer BSC hons landscaper Fully insured. Are you fed up not being able to use your conservatory all year? Then iCon Roofs have the thermally eﬃcient solution. SBI supply and install top quality canopies, contemporary or traditional styles to suit your property. Create extra living space whilst protecting you from the sun, rain and ultraviolet rays. "#!$%$&'()&!&#**$&')#*! "#!+*,)-.'%/!&01%$,! 2!3$0(!40((0*'/!#*!50(',! 6)75%$!'#!4)*8!+5!#(!8#4*!! 9:!;#%#+(,!0<0)%01%$! 650&$!,0<)*-!=!(#%%,!+5! 6#%)8!#(!,$$!'.(#+-.!,&($$*! CALL NOW 0800 0742 721!sbiproductsltd.co.uk! 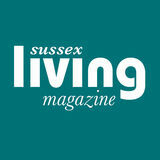 Part of The Media Sound Holdings group INCORPORATING MAGNET MAGAZINE Whilst every reasonable care is taken with all materials submitted to Sussex Living we cannot accept r­ esponsibility for loss or ­damage to such ­materials. Opinions expressed in articles are strictly those of the authors. This publication is copyright and may not be reproduced in any form either in part or whole without written permission from the publishers. While every care is taken, prices and details are subject to change and Sussex Living can take no ­responsibility for omissions or errors. No responsibility is taken for unsolicited ­submissions or the return of submitted items. *Finance Subject To Status. T&Câ&#x20AC;&#x2122;s apply. *Orders placed by end of April 19. Applies to orders over 8 panels. Smaller orders receive calculated discount. Not valid for use with any other offer.